Welcome to West Coast Brewer and thank you for visiting! WestCoastBrewer.com is a website dedicated to the craft of home beer brewing. Here you will find everything from home brewing beer recipes, reviews on homebrew hardware, promo codes and coupon codes from popular online home brewing supply shops and how to guides on home brewing hardware modifications and beer brewing techniques. Please visit our Home Brewers Blog for recent homebrewing beer recipes and photos of recent upgrades to the home beer brewery. 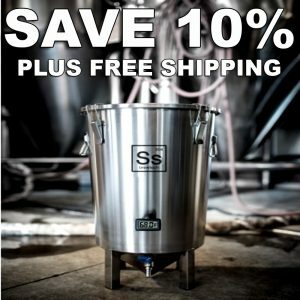 Here is a list of some of the best home brewing promo codes and coupon codes available right now for online homebrew supply shops like MoreBeer.com, Adventures in Homebrewing, Williamsbrewing.com, Northern Brewer, HomebrewSupply.com and Midwest Supplies. For a full list of home brewing coupon codes please visit HomebrewingCoupon.com or HomebrewingDeal.com. Homebrewing promo codes and often times save you 20% or more on homebrew recipe kits and home beer brewing hardware. The Homebrewing promo codes are updated daily. 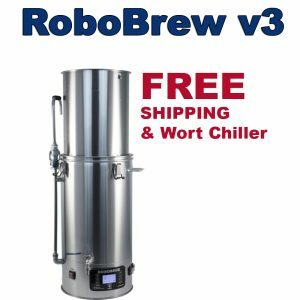 MoreBeer.com Promo Code: Free Shipping and Stainless Steel wort chiller with the New RoboBrew Version 3 Home Brewing System! Here are a few of our most recent home brewers blog entries. For a full list of blog entries please click here.